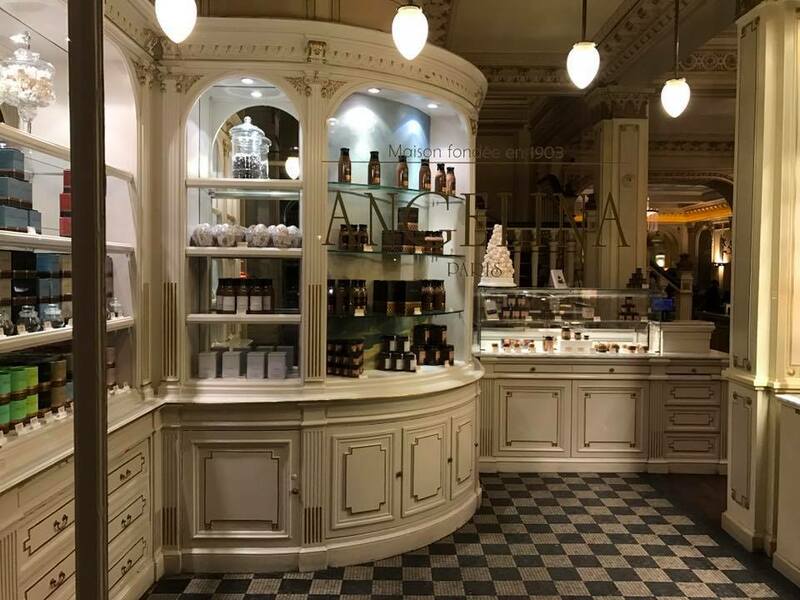 I have seen other bloggers talking about Angelina, so it was top of my list when we popped to Paris for the day during our holiday to Disneyland Paris. 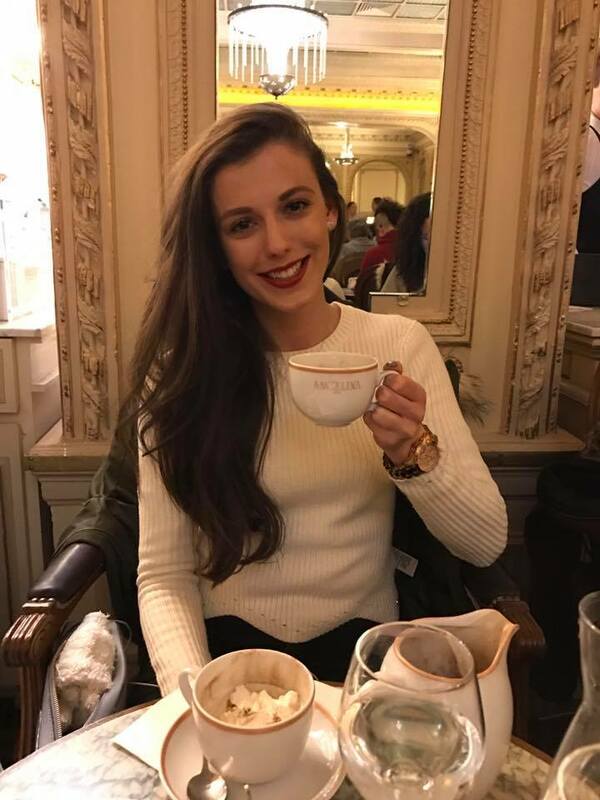 Angelina is famous for their hot chocolate and seeing that it is one of mine and my boyfriend’s all time favourite drinks it seemed an absolute MUST! 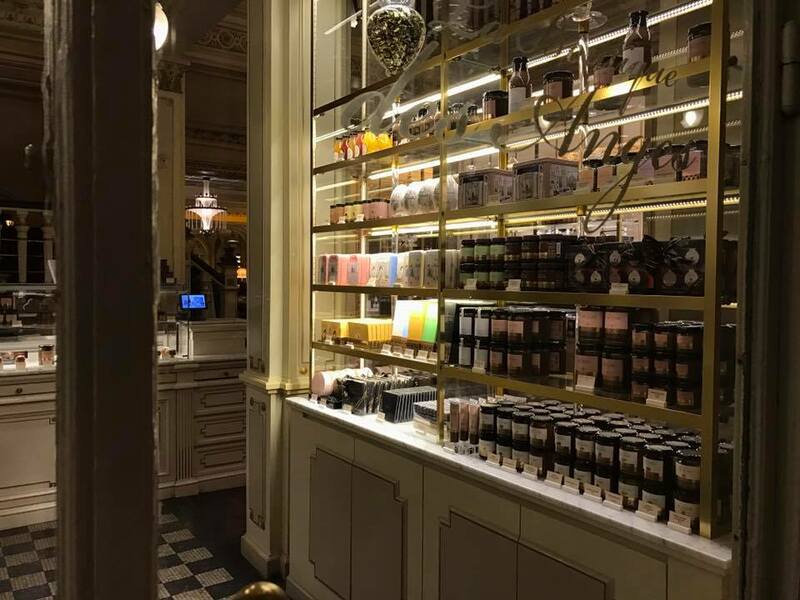 The first thing you need to know before visiting this gorgeous tea room is prepare to queue! We visited on a very cold (-5 or something ridiculous) day midweek in January which is typically off-peak, but we still waited a good 15 minutes outside. From looking online, the weekends get crazy busy, so bare that in mind when you’re visiting. 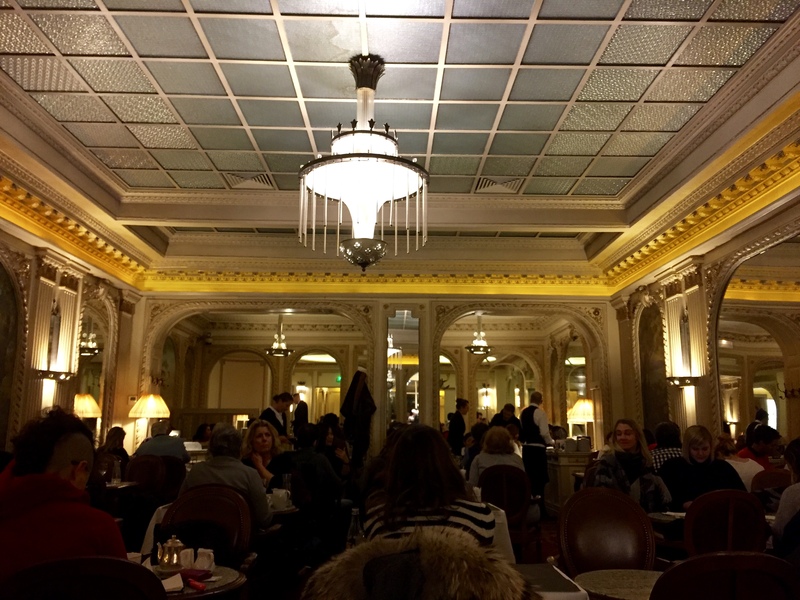 The tearoom itself feels very traditional and Parisian which I absolutely LOVED! The hot chocolate named Chocolat Chaud “Africain” doesn’t come cheap at €8.20 BUT it does fill you up as though you have eaten a whole meal! So if you think of it that way, it’s technically value for money! 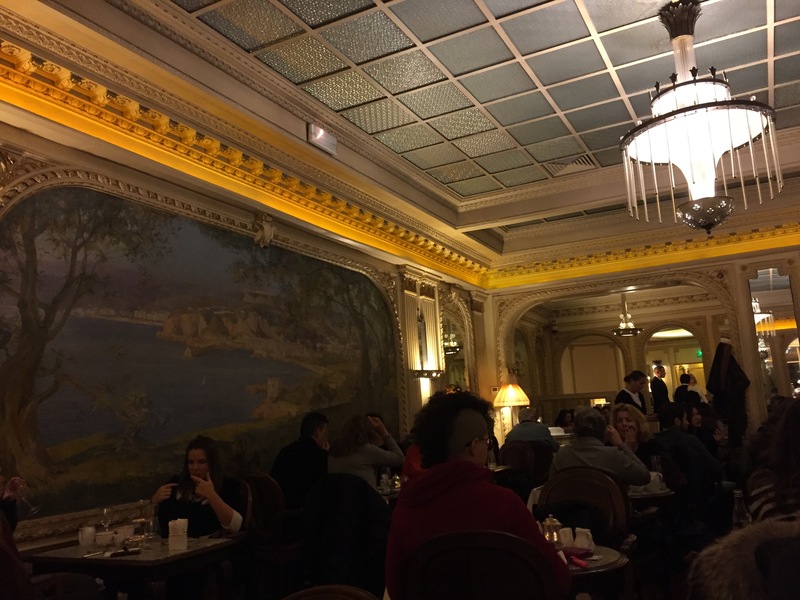 We ordered one each and also a small plate of 4 different macaroons (which you can choose from a selection on the menu) which came to €9. The hot chocolate is brought to the table in a jug, and a bowl off whipped cream accompanies it. 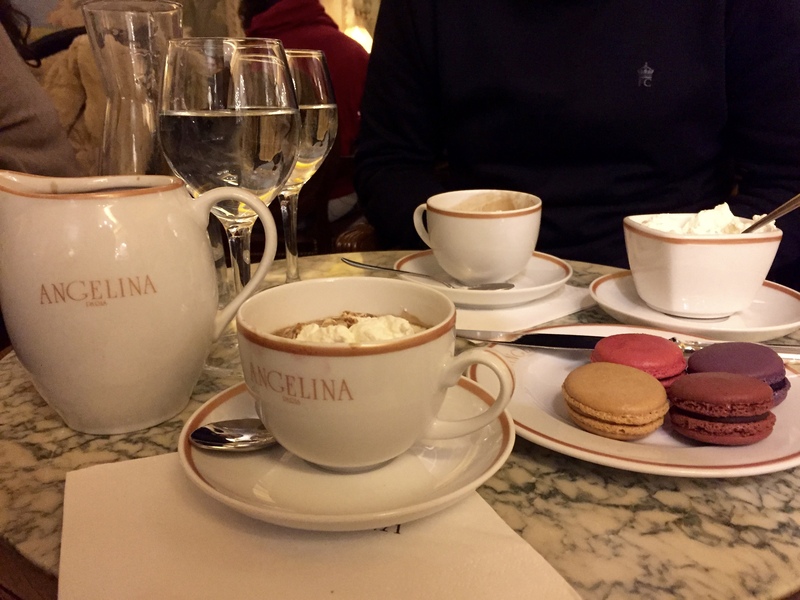 As we poured the hot chocolate into our cups, we could smell the rich favour of the decedent liquid. If you don’t like rich, sweet drinks this will NOT be for you! The dark, velvet thick hot chocolate is beautifully rich and like nothing you have quite tasted before! You need the cream to break up the rich yet glorious flavour. Thankfully, they bring a jug of water with your order which you will definitely need! The macaroons were beautiful, in particular the fruit flavoured ones! The pastries and cakes we saw other people order looked delicious, although there is no way we could have managed one when indulging in the hot chocolate! 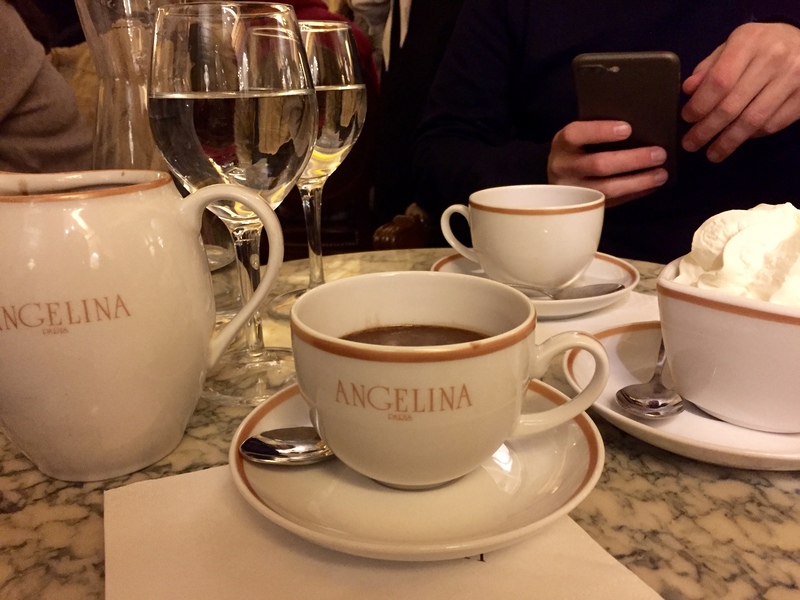 If you are in Paris and you are a hot chocolate lover definitely go to Angelina. It is such a beautiful tearoom and the hot chocolate was worth every penny!